This week, the girls discussed their campaign #AllBodiesAreBeautiful. 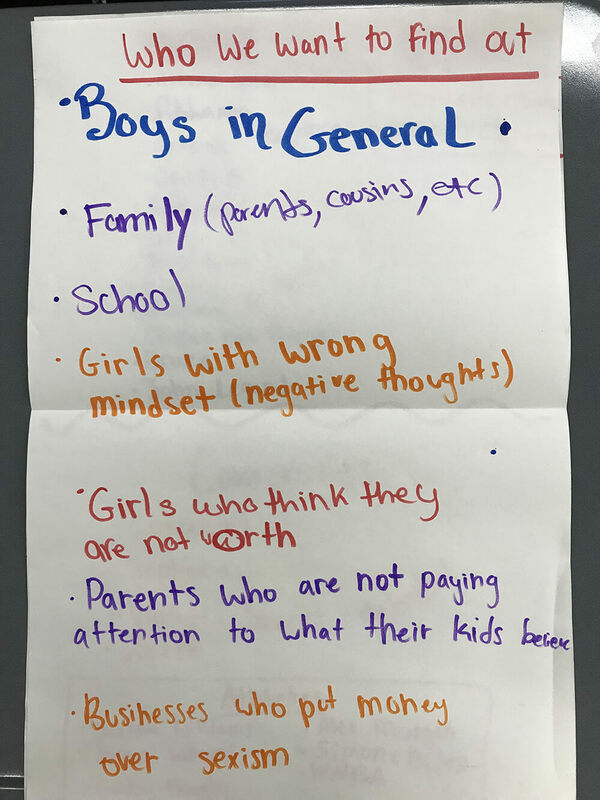 Some were committed to it because they had received negative comments from others about their appearance and others wanted all middle school girls to feel confident in their own skin. 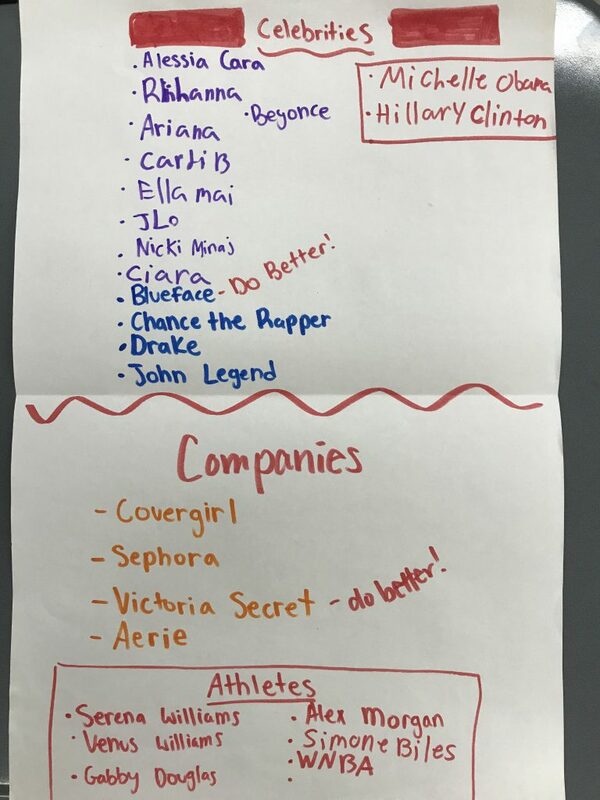 The girls then took those ideas and used them to brainstorm a list of people – from family members to celebrities to athletes to Michelle Obama – who they want to be a part of their campaign.